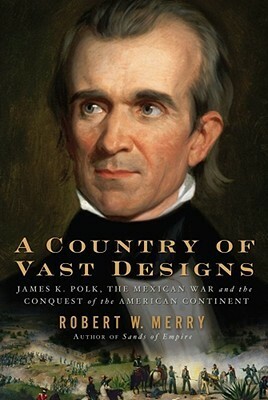 “A Country of Vast Designs: James K. Polk, the Mexican War, and the Conquest of the American Continent” is Robert Merry’s third book and was published in 2009. He is a former Wall Street Journal Washington correspondent and executive at Congressional Quarterly. Currently the editor of The National Interest, his most recent book “Where They Stand: The American Presidents in the Eyes of Voters and Historians” was published in 2012. Although Merry’s biography of Polk is substantial in length (at nearly five-hundred pages of text) it is not a thorough account of Polk’s entire life. Instead, like Jon Meacham’s biography of Andrew Jackson, it is the detailed review of a presidency rather than a full-scale biography of a man who was once president. As a result, while it examines the Polk presidency in significant detail it is less fulsome in exploring his personal life or his family relationships. After a brisk jog through Polk’s early life, the biography slows to a more measured pace as the forty-eight year old Polk languishes following two failed attempts to win back his post as Tennessee’s governor. Polk’s political rehabilitation involves a half-serious pursuit of his party’s nomination for the vice presidency and Merry provides a front-row seat to the 1844 Democratic convention which, instead, selects Polk as the party’s presidential nominee. The author follows with a consistently interesting (if occasionally overly-detailed) story of Polk’s election and four years as president. While few readers will mistake this for a great narrative in the style of McCullough or Chernow, it is very thorough, well written and analytical biography. And although Merry is generally sympathetic with Polk and the controversy surrounding his legacy (mostly relating to his pursuit of the Mexican-American War), he is hardly uncritical of the eleventh president. Due to the near-exclusive focus on Polk’s presidency we develop a full appreciation for Polk’s political strengths, weaknesses and priorities, but little sense for who he was as a person. Merry describes a bold president – with precious little time to waste – who was an introverted micromanager, a poor delegator and fearful of face-to-face conflict. But it is difficult to guess what he was like while relaxing away from the office (if, indeed, he did such a thing). Nor do we really understand how he may have grappled with his own status as a slaveholder. Perhaps ironically, one of the biography’s key strengths is the fact that Merry explored Polk’s four years as president largely from an inward-looking perspective based on his remarkably attentive presidential diary and extensive correspondence. But since this insight is focused on his “office life” the advantage accrues entirely to our understanding of his public service. Merry convincingly separates Polk from the many extraordinarily deficient presidents of his era by emphasizing the enormity of his accomplishments, achieved in spite of his flaws, within the context of the fractious times and his lack of broad political support. Nearly as useful, although somewhat less pursued, is Merry’s effort to diagnose the chasm between Polk’s popularity among modern historians and the relative obscurity within which he resides among the masses. Overall, Merry’s biography is principally a portrait of the Polk presidency; it delivers best while exploring the political environment and policy matters faced by his administration. Readers seeking a thrilling journey through Polk’s life will find this book too stiff and the focus too slanted toward his political career. But for someone with an interest in this era or a focus on Polk’s presidency this is a fascinating look at a highly-regarded but surprisingly obscure single-term president. I have this one on my list to read, having already read Polk by Walter Borneman. Thanks for the heads up that it is very focused on the White House specifically. I just finished this one. I thought it was very good. There’s a handful of very interesting players, and even if Polk himself isn’t the most riveting individual, the events surrounding his presidency were monumental. The book does have its flaws. Most notably, for all the discussion on how the slavery debate leaked into almost every issue of Polk’s presidency, I don’t believe the author once mentioned that Polk was a slaveholder (maybe I’m wrong, but if it was mentioned early I missed it, since I was surprised to learn that fact after finishing the book). While it’s important to note, as you did, that Polk never enjoyed broad political support due to the growing divide within the Democratic Party, I felt that Merry too often attempted to build up the opposing arguments against Polk’s initiatives, only to then quickly brush them aside and explain that matters worked out in Polk’s favor anyway. My last complaint is that while Merry often referred to the war as “unpopular”, he never really explained how or why. Naturally, it was unpopular amongst Whigs, but from the books account, that may have been nothing more than typical political maneuvering. Merry himself notes that the constant military victories were cause for celebration among American citizens. The “supporting cast” of this book is wonderfully entertaining. Jackson, Adams, Scott, Buchanan, Clay, Calhoun were all well known to me (though I admit I had no idea how entertaining, if infuriating for Polk, James Buchanan was). However, the lesser known Trist, Benton, and Cass were provided some of the most interesting narrative in the book. Overall, I was very happy with the book, and probably would rate it slightly higher than you – though it’s the only Polk bio I’ve read. Cheers! 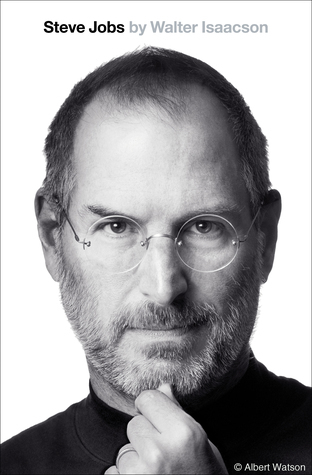 Thanks for your comments – they are among the most constructive and insightful I’ve received (on any biography) and they came perilously close to convincing me I need to re-read the biography in order to get a deeper sense for what I may not have fully appreciated the first time through.